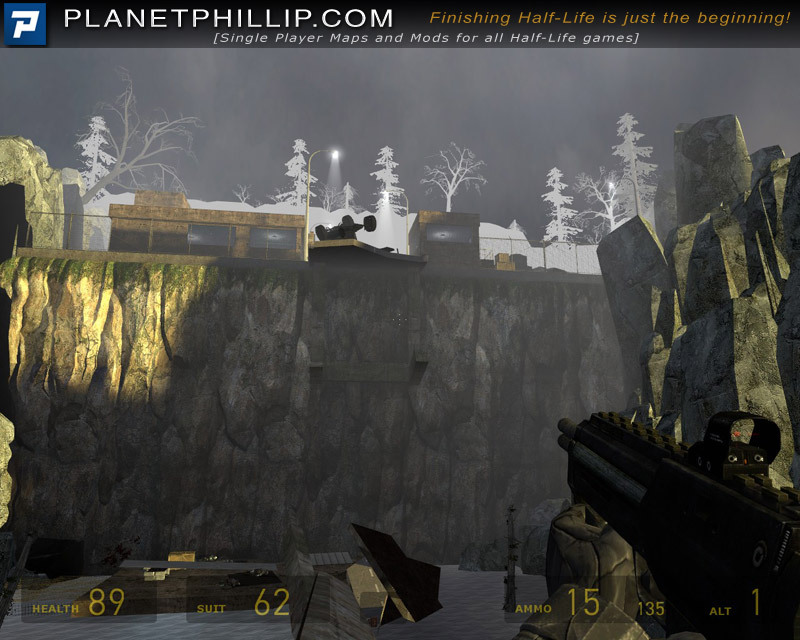 This mod continues from the end of Pyramid and sets the player in a world where the sea is rising. 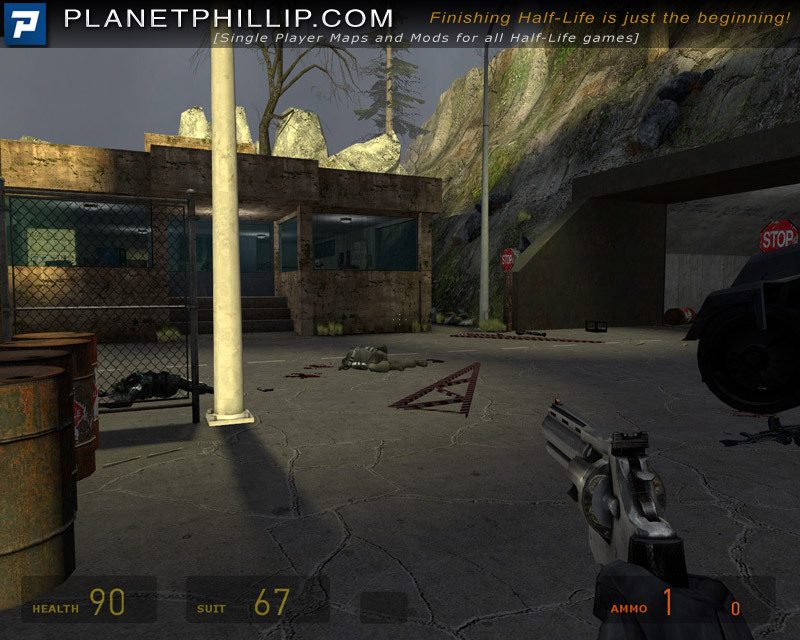 You encounter almost all of Half-Life 2’s enemies and a great outdoor area. There is some interesting backtracking and even a bonus map if you are lucky. Copy the Drowned World folder into your SourceMods folder. Drowned World should now be listed in your Library tab. I find writing a review after I have beta tested a map is quite hard for me. Some changes I lament others I praise. 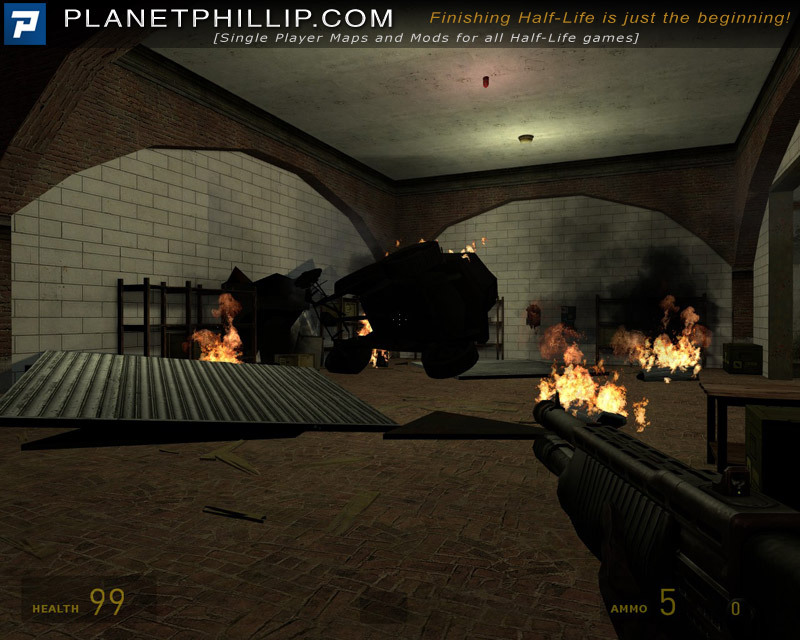 Overall this is a good mod but I added my Play It recommendation image with some hesitation. I know Ross had to rush to finish the mod because he has other commitments that make mapping impossible for a few months, but there are still a few issues I think he should have corrected before releasing, even if that meant waiting months. It has a dark and dreary feel to it, lots of browns etc. It’s certainly not meant to give the open and bright feel of some recent mods and that’s cool with me. The reflections on the water need correcting and the haziness looks like it could be improved too. Inside things have the same feel but it was a little too dark for me. The gameplay is generally excellent, although I think Ross forgets that players can keep rockets and use them later in the mod. This meant I was able to shot the Gunship with very little effort. That said the strength of the leeches were too much and they discouraged exploring. One point about that is there are at least two instances where you can see the Lambda logo but can’t get there because you are killed by the leeches. This is clarified later in the mod but it’s better not to show them to the player at that point. I felt there were too many cut scenes and also they were too long. I am a little unclear as to why I got the bonus map and I would have liked to have been told why; not that it’s that important. 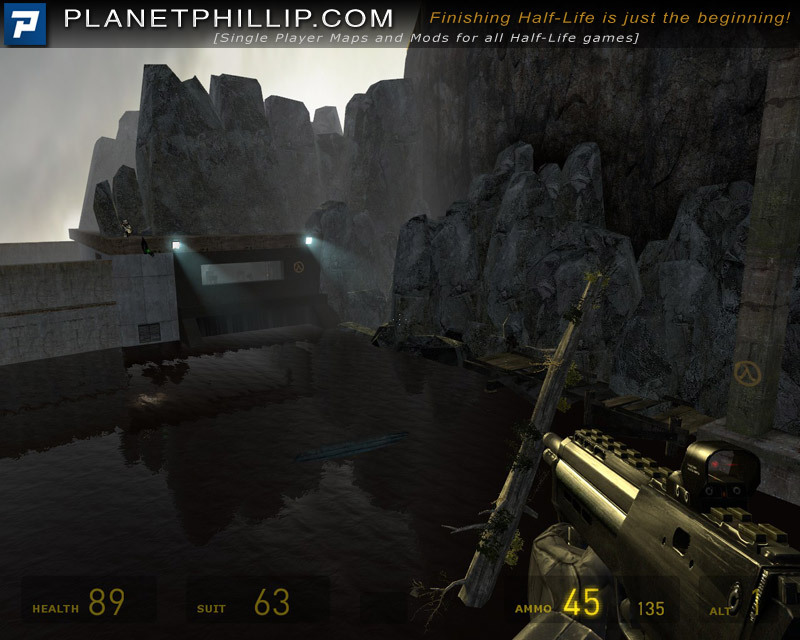 The rising water is a nice touch, although the first few times I played it I died. Again, this was very good and a lot has been packed into quite a small area. The destroyed building is a joy and probable could have had some great battles if there were Combine around. The doors were definitely annoying because they often open outwards and I feel that’s a mistake. The underground level feature some strange details, included a wrecked truck in a tunnel and other little points. Much better than Ross’s first release but the attention to detail is what separates this from a Hall Of Fame. I have no doubt you will enjoy it, so don’t let me criticism stop you. I hope you can swim! Cheers Phillip. Thanks for the great review. Folks, This fella is incredible. There isn’t enough room to thank him for all the work he does to provide such a great site. 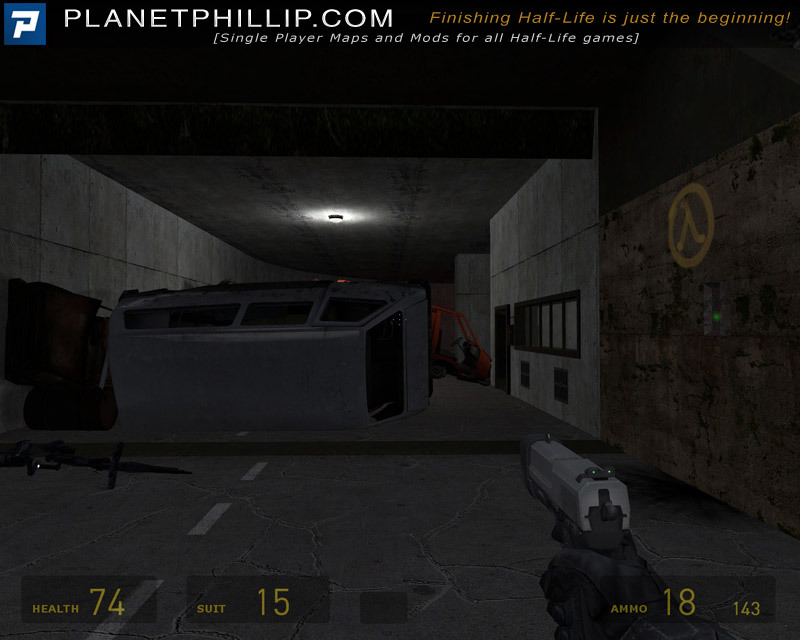 His commitment and devotion to providing a forum for all of us for Sp mods for Half Life is just unparalleled. Keep up the great work. I appreciate the chance to have my work discussed and assessed here, and will respond to everyone who posts in this forum. Hey, Thanks Dannster. I’m glad you thought it was awesome. Did you play the bonus? I’m having tech problems with this in the first 10 minutes. In the area that’s flooding with the sniper in the room, the graphics are messing up. It’s stop and go. I have a nice system, an AMD 64-3600 and a new Radeon 3850 graphics card. The fastest AGP card made and I am not having any problems with any other games. Even high resource hogs like Crysis or Bio Shock are not a problem. I also use the Gameboost software to shut down all background programs and I can’t get this mod to play right. I may try to redownload as it looks like a good one. Sorry to hear you are having problems too Morto. Maybe you could skip the first map as discussed elsewhere in these comments and try starting from the second map. Go to the home page for Drowned World in steam, email me and I’ll tell you how to start from the second map if the start map won’t run properly. 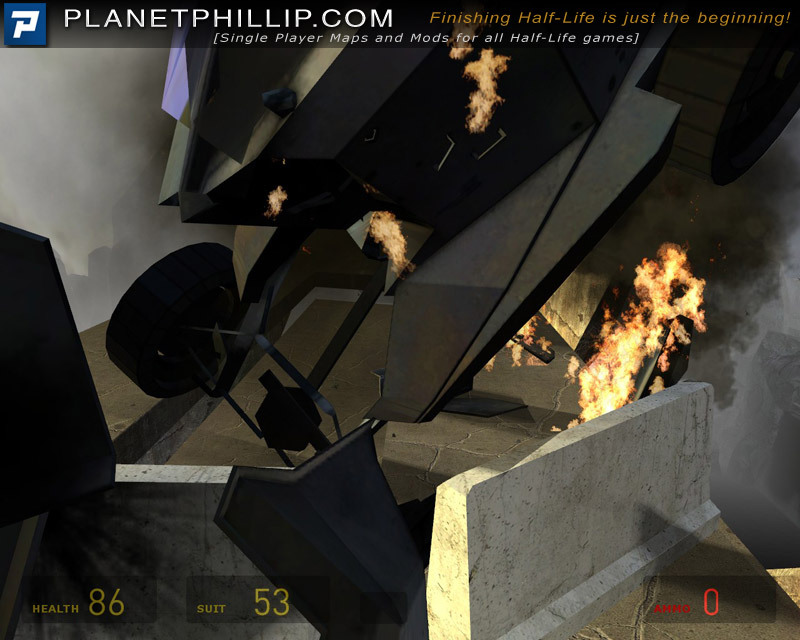 Phillip had invited me to playtest this mod last month, so I did. At the time, I pretty much hated it and I said as much. I never heard back, so I figured to each his own – an evening wasted. I’m pleased to report that this released version has improved by leaps and bounds, though it’s not without several quirks here and there. But there is one major annoyance that trumps them all: the sheer amount of STUFF in the world. To understand what I mean, when you’re trying to swim through darkened water and not drown, you don’t want to keep getting hung up on weird bits of architecture. Likewise, when you’re trying to shoot the incessant Combine Soldiers and not fall into the leech-filled waters below, you don’t want to keep getting wedged between a rock and a hard place. Fighting a boss, no, you don’t want to find yourself stumbling over wobbly physics props placed without any rhyme or reason. This also factors into the ever-elusive critical path. The author uses the Lambda symbol as a crutch to try to highlight which were you’re supposed to go. While this violates its intended usage, it’s ultimately necessary because of the poorly-planned layout. There’s so much clutter in the world, nothing stands out. There were several times in the large outdoor area where I felt I was being led astray – taking the scenic route around my destination – only to find that because I triggered the next wave of enemies, this was apparently the right way to go. Never a good sign. The clutter problem is even present in the very first room. You’re given so much weaponry in so little time that you’ll probably get killed because of the weapon auto-select alone! All of this is kind of unfortunate. The mod presents a few interesting ideas, mostly centered on the rarely used rising/falling water trick. If only the path was streamlined, the props logically placed, and the architecture more plausible – that’s what keeps this from being a great mod. I did get your feedback from Phillip but had no way of thanking you. I appreciate your honesty and observations. They help my refine my work. I did get your feedback from Phillip but had no way of thanking you. I appreciate your honesty and observations. They help me refine my work. Maybe I shouldn’t review this mod but I will anyway. I’m sure there are others who have same taste in game as me. So, I want to start my review saying this mod was not fun at all. Mod started with a gunfight which was too difficult for a start. Then snipers showed up (ironically they were invisible), more combine soldiers showed up, gunfights started to be more difficult and then I was all done. I hated it in the first map. Second map was worse. It was all messy and it was totally impossible for me to find out what to do. Somehow I’ve managed to finish the mod (cheats!) but after finishing it I was just angry. Maps were uninspired and laggy, they were not good-looking at all. 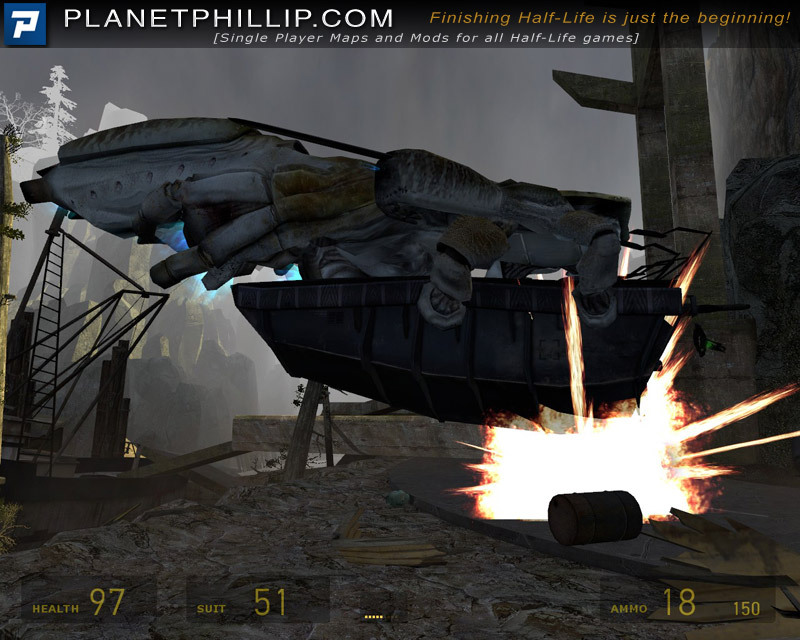 There were too many physics props making gameplay more difficult. Story was not good. Textures were not used good, they were looking very bad. Only good thing about the mod was adjusting water levels, but that was it. Not enough to save the day. All in all I don’t recommend this mod. This is barely an beta, if not alpha. Needs more work. Mapper didn’t have enough time to finish this, but still he released it, so I think he is ready for all comments. Cheers civanT. It is always good to have this kind of feedback. I do not expect everyone to like what have done. I just hope it wasn’t because the first map lagged that influenced your opinion. I’m sorry man, I’m sure you put lots of effort in this mod, but I get angry a little too quick. Maybe you are right, it could be because of the first level but you were unlucky. I don’t like games with too much action and your mod is full of action. I said “maybe I shouldn’t review this” because of that. Also after dying in first level and quick loading game, it started to lag like hell. It was like 3-5 fps. So I started again. Then it happened again and I had to go all the way to the start again. I couldn’t find an engaging story (which is fine actually, I haven’t find a single mod with a story that I can say good) and this always makes me sad. So, I’m gave it a bad review, although I don’t like to do that. You see, lots of people like your mod, but I think there will be people like me, and I thought they should know about it. Still, it’s not that bad. I can easily say that you can make much better than this mod. I can see that, you just need more attention to the detail (which is hard to ask from a modder, modding’s already too much time consuming and asking for more detail is like making the developenment time twice more, but what can I do, I like little details). All you say is valid CivanT and I appreciate your concerns. While I did try to include small details and make the settings as realistic as possible I didn’t find the right combination in all areas. I’m glad you appreciate how time consuming and difficult it is to produce a product that pleases everyone. I am happy to learn from your impressions of my Mod and will try to do better next time. Just finished this. One glitch towards the close of the opening sequence where the frame rate slowed to a virtual crawl then it ran fine. Tough battles which required tweaking combat skills and technique – always good to do. Very good gameplay and the lay outs were interesting and different. Shades of Myst near the end. Glad you enjoyed Drowned World. Thats great. By “opening scene” did you mean the video at the top exit when the lights turn on in the first Bunker? 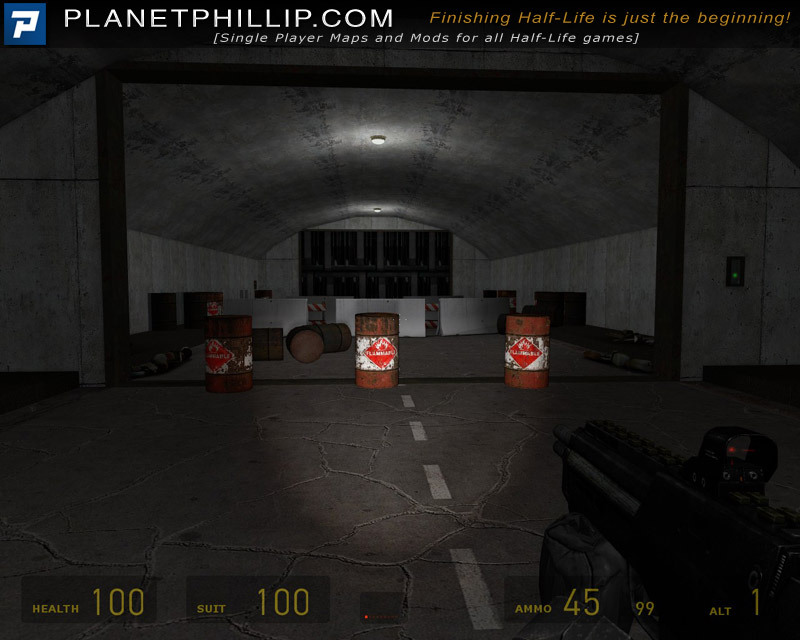 it does skip a frame as the metro-cop enters the bunker and turns the lights on. Yes Sirrocco, thats the place. I waited for a short while as everything slowed to a virtual crawl and then the first part began proper. I thought that was where you meant. I think it’s because of the changing shadows produced through the windows etc when the metrocop turns the lights on. My PC only flickers once as that happens so I thought it a minor fault that couldn’t be helped because it was logical to turn lights on as you enter a building. Dynamic lights use a fair bit of CPU cycles so I use them as sparingly as possible. Limitations of the engine I’m afraid. I’m glad the rest ran ok.
A little help with the bonus map please. I’ve crossed the area where the ship is submerged to a platform and then underneath into the building and now in a room with barnacles. I can see crates behind a fence but how to get up there? The enjoyment continues, thanks again. Brilliant, loved it and I thought it looked great. Cons: For the first scene, I had to go to God to find out what to do then reloaded and played it straight. Also, far too frantic for a first battle. Water reflections in the outside area in a couple of places were mightily bad. As have some others, I had a frame rate problem in the opening scene. Pros: Everything else. 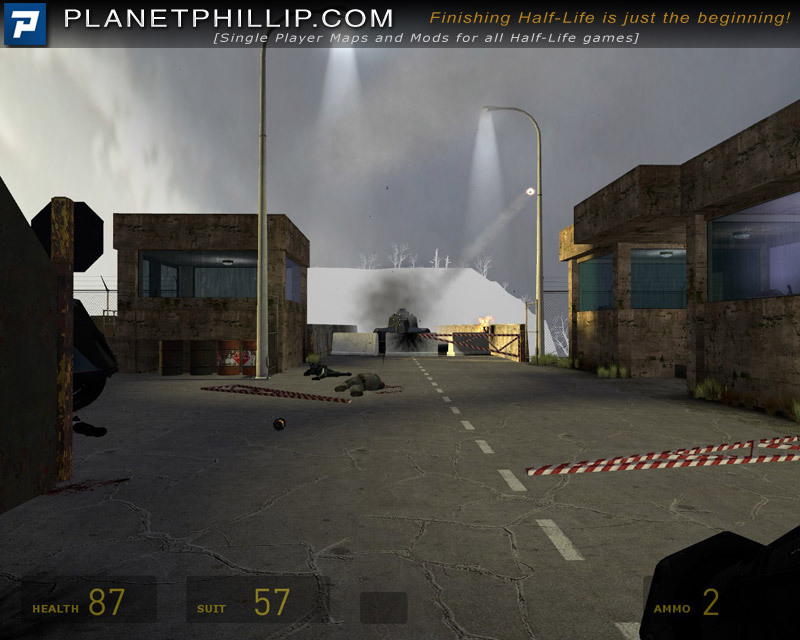 Great combat game play, great scenes, great layout No hang ups, no bugs, no crashes. I had no trouble with the leeches – only got one foot slightly damp once. I did not have any trouble with underwater obstacles in the inside area. I did not have any trouble with underwater obstacles in the outside area but then you do not need to get into the water. 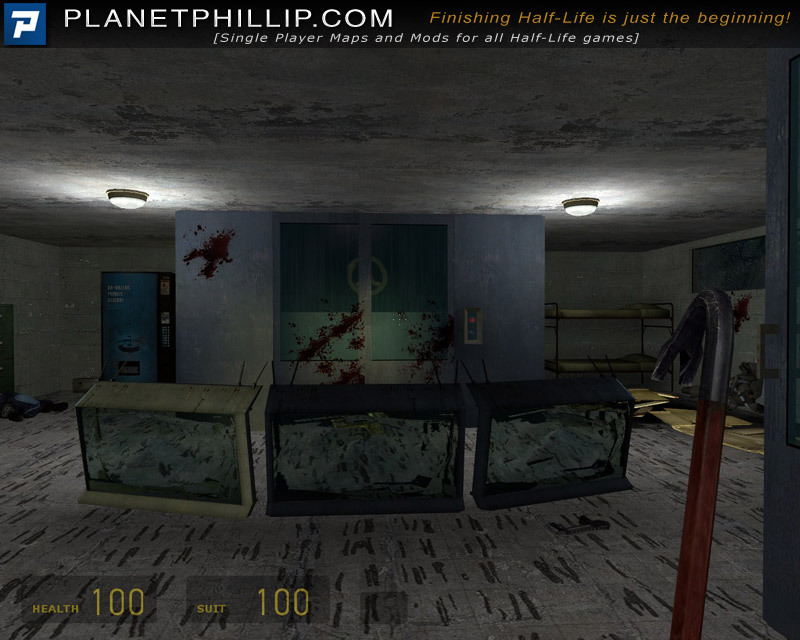 As with all HL2, if you get into deep water then you get nibbled – so don’t. The Lamda logos were very helpful but you needed to use them in the right sequence, nothing bad there. The cut scenes could have been a little shorter but they were quite good and informative – loved the shades of CtA with the flying birds at the beginning. Door openings were good and not a hindrance at all. 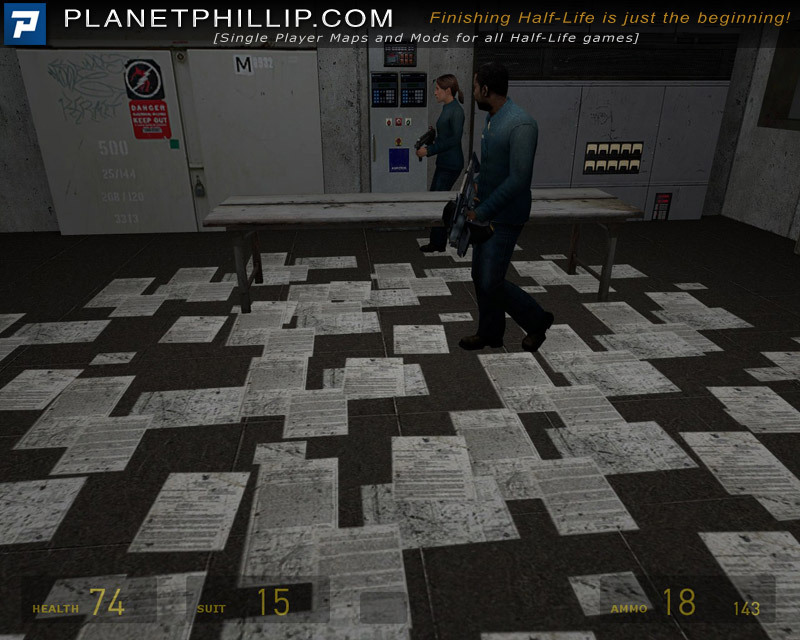 The bonus level was very enjoyable and harder than the last map in the mod – good stuff. I loved playing Pyramid and this could be better with just a few tweaks. Thank you Ross, I look forward to the next one. I am really blown away that you liked Drowned World so much and posted your thoughts here. I’m glad the experience was worth the time you put in. I am also wrapped that you appreciate the differences in the bonus map and how it can be played. We must have similar playing styles. It’s quite overwhelming if you let it, but there are plenty of quiet places to regroup and plan your attack if you already know the layout. Which is learned playing the mod first time thru. I appreciate your kind words and would like to keep in touch..
Jasper-what did you have to do to make it through the first part? I couldn’t move. The frame rate problem was terrible. Should I turn all settings to their lowest point or go to noclip and just “fly” through that first part? As long as the problem is only at the start I don’t mind skipping over it. Or is this even really worth the effort? Hi, Robspace1. For the first 2 skills I was able to play (just) but on hard I had to give up on the first part. I skipped the first part by going to map cc3. 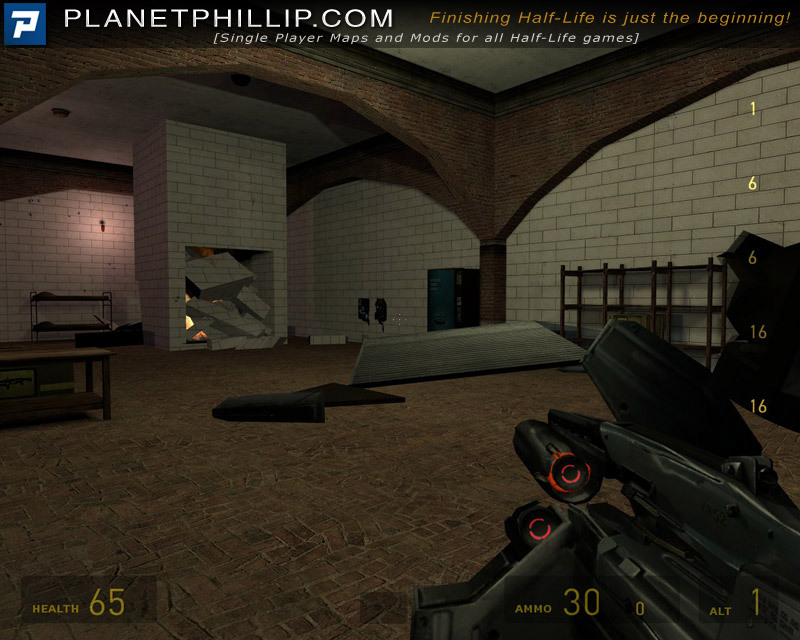 Interestingly, you start in an area, not accessible by normal gameplay, with an HEV suit, life, power up and weapons. One wonders whether Ross Walker (Sirocco) knows about the frame rate problem and popped in this bypass.. If the first map where the APC crashes thru the armory door plays up and the framerate dives, that maps named cc2.bsp btw, then you can restart cc3 in the console, which is the next map. Although you are off the mark in thinking it’s because of the framerate problem, it’s really because I like to have stating points in all my maps for playtesting, which led to the bonus map…. And with a few modifications for better gameplay, and is like an extension of the original if you know what I mean. Oops, sorry Sirocco. I was replying to reaper47 at the same time that you were responding. Apple cart not upset I hope. Man this a very good mod! Would have given it a PF but it was too short. Played on mid level through the whole game.Better than Pyramid but too short gain. The bonus level is hard , even on easy.Still trying though. Black Dog, I am glad you are enjoying Drowned World. Your appreciation makes me feel I have created something worthwhile. Tell me, does it play slightly differently each time you play? That was the intention and I am glad you have replayed enough to find that out. Thanks Jasper-So now I’m really undecided. It seems to be a pretty even split as far as how good the overall mod really is. Everything from the top to the bottom in the ratings system is being shown. If the maps are that good, I don’t mind skipping a little but it hurts the thing to do it. I tried 3 times to get through the first map and gave up. It was like sloshing around in quicksand. Not fun-Ok maybe 1 more time. We all have different computers with varying hard and software. I’m lucky because I work from home with a company supplied computer which is very powerful and very fast indeed. Even then, while I could play the first area, I did not find it enjoyable because it is just so frantic and the frame rate problem is very irritating. 2 snipers was well over the top (by 2) and about half the enemy would have made it fun to play and might sort out the frame rate problem although I’ll bet it is due to the rising water changing the graphics. The rest of the mod is fantastic. 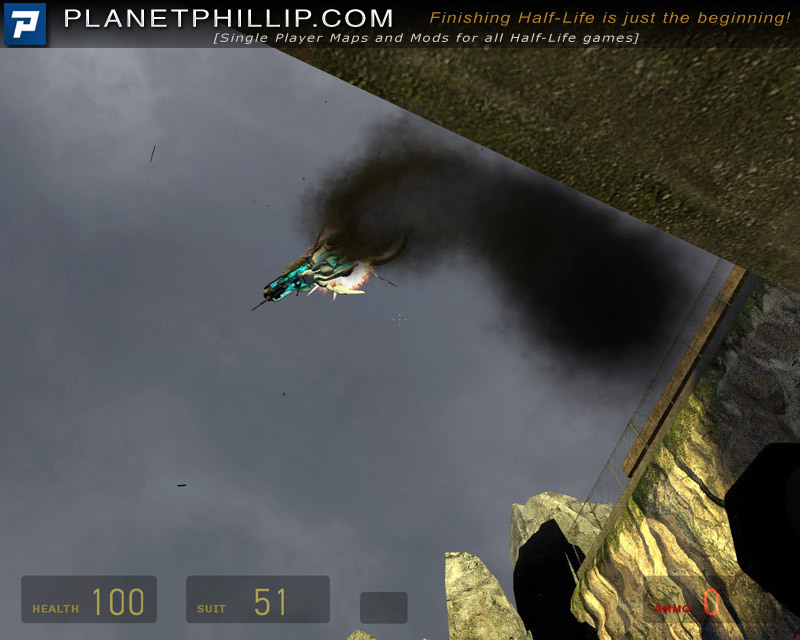 Go to map cc3 before you throw your computer out of the window! The fact that our systems are all different is always going to produce varied efficiencies when the mod runs. I know the rising water uses a lot of power to generate shadows etc, and it can be a bit frantic, but there is plenty of time if you just slow down a bit and take the combine out without rushing. Which sort of clashes with the intended atmosphere of panic I tried to build into the first map. Again different playing styles also have an effect of how much action needs to be rendered. When I build a map I have a picture of what I want to happen and try to stay with that, but find limitations in what can be done efficiently due to the nature of the engine and end up having to make compromises which detracts from the intended experience. The same problems arise in the outdoor maps with the sheer volume of water that was needed to fill the arena. And don’t get me started on cubemaps lol. I tried for weeks to have the reflections look good from all angles but had to settle on them only looking good from around half the directions you can see when you stop and look around. Talk about a mind bending experience. Anyway I am pleased you find the bonus map is a challange. I think it goes a little way to Phillips wish for a battle in the Bunker at the bottom of the cliff. I think if you enjoyed Pyramid, you’ll probably wind up enjoying this as it has a similar style to it. As far as the slowdowns go, I’m going to take a wild shot and suggest that it might have to do with the rising/falling water. 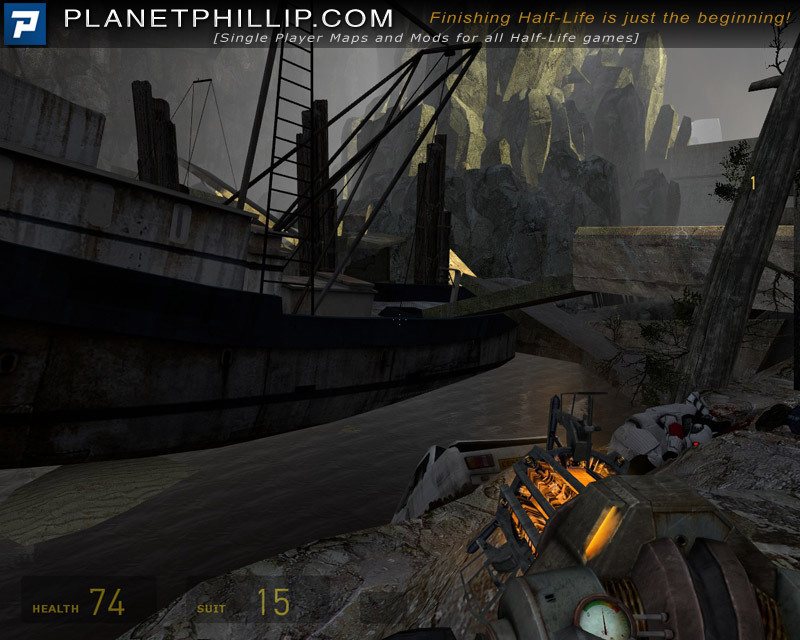 The tech is seldom used in HL2 itself, and never on an expanse as large as seen here. My only suggestion, and this is a TOTAL shot in the dark, would be to try running the mod in DirectX 8 mode. You right-click on the mod in Steam, select Properties, then Set Launch Options. Add “-dxlevel 80” (without quotes) there. Alternatively, if you want to use DirectX 8.1, use “-dxlevel 81” instead. I make no promises that these will work, but it might force the game to run with a simpler water shader or something. Thanks again Jasper. See, like I said in my first post, I am able to run all other HL mods just fine. I also have Bioshock and Crysis installed and play both at max levels. My graphics card is new, big and super fast and works great. So, I know the problem is not on my end at all and if this first map is a mess for me, then I suspect most other people will find the same problem, which is a real shame. I played Pyramid and had tech problems with it near the end as well but since replaced my card and now, it should play just fine. But this is the first game that has failed with this new card and I will go ahead and try to skip over the first part completely and get the game played. If a system can run Crysis with all settings set high, then that system can play anything. Ross-Thanks for the effort but I just can’t get into this. I started it from the start then went to noclip as well as God mode to skip through the first gunfight and water map. I got to the dark tunnels and it started to freeze up again on me. I really don’t want to have to fight my way through this. Just so you know, I have all other programs shut off while I tried this. I use the free program, Game Booster to allow all resources to go just to the game. I will just have to pass on this one and it really looks good and the length is perfect. I love the long mods. Also, I do want to say thanks for your previous work, Pryamid. I had alot of fun with that one, even though it too had some tech issues. Maybe one of these other highly skilled mod makers like Leon would give you a little help to get these perfect. Your ideas and stories are really good if only the finished product had the extra polish to make it work good for everyone. Please don’t stop. You have the goods and just takes time to perfect these things, like anything else. I will now go back and replay Pyramid as I have a much better graphics card now then before and I believe you added a revised version. Thanks again and for others, this one really looks good, if you can make it work. I appreciate your praise and hope you try what I suggest. OK-Thanks-I will try that in the morning for sure. I don’t give up easy and because this one has a good amount of mbs, I want to play it. It seems that anything over 10 mbs is becoming rare anymore. (Where’s Leon with our long awaited SM?) long mods like this are great, I think, so I will give it another shot in the am. Robspace1,I don’t know why you are having so much trouble with this mod. Do you play the game while you are online or off? I have a couple of Nvidia 9800’s in my pc and running Windows 7 and I didn’t have no problems. I think this mod is better than Pyramid just shorter. I’ll be waiting for your next project/chapter. Some commenters above slate this mod “cos it does things differently, e.g. the use of the Lambda symbol. Others complain about “texture use”, whatever that is! It is a game, and a very nicely put together one too! I had problems, finding out which way to go sometimes, for example, but that’s part of the game. I went back and replayed Pyramid before playing this, just to get in in the mood, you understand. And they are both outstanding games, played together, or not, they are both worth playing. To the author——- more please!!!! Soon. Thanks Phil, I’m glad you liked playing both my Mods. Everyone plays differently and appreciates the experiences in different ways. It’s been said before that players and mappers often look for different things and review games from different perspectives. That’s good actually, because authors get feedback from many points of view. I’ve noticed that other mappers usually consider the technical details and playability of games while players can ignore small deficiencies and concentrate on the puzzles or action involved on moving forward. If you look at using hammer and creating Mods like an apprenticeship, I am still in my first year, with lots to learn. But I am enjoying it so much that I want to share my creations and the feedback I receive when people play my Mods, positive and negative, all helps to make the next project even better. I will admit though, I gain a great feeling of satisfaction when people enjoy playing my Mods and say so in this forum. It’s just human nature to like to be appreciated. This is one of the best maps I’ve ever played. 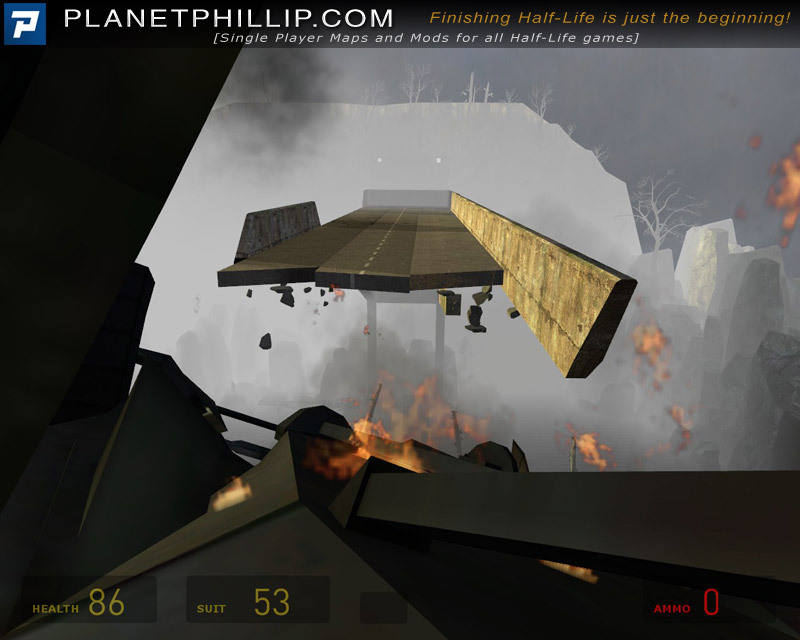 It’s long, it’s desaigned for intermitent combat, and despite that, it’s really awesome to see many new implementations such as the bridge that get’s destroyed and all of the intense combine action. Thanks Hoyy, Glad you liked it. Have you tried my first Mod? Well well, small map, fast eaten. 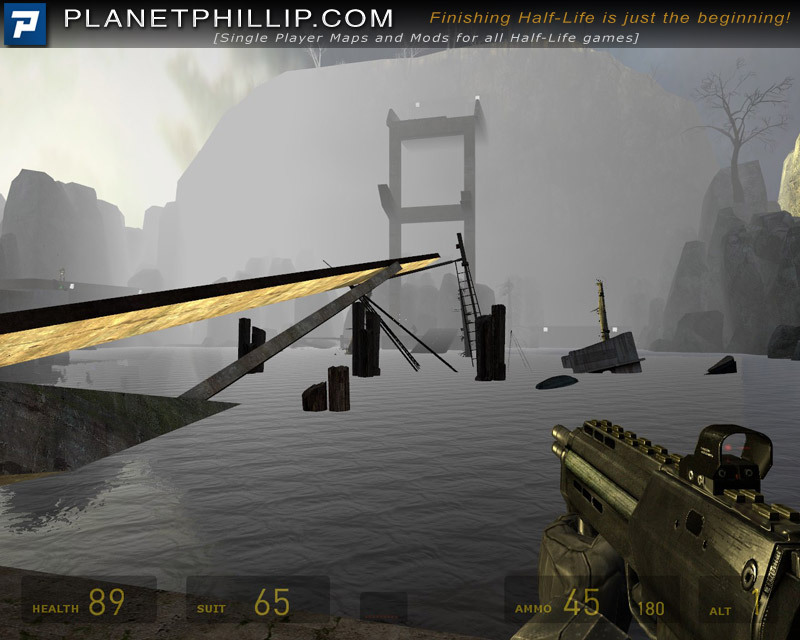 The beginning, the first level, was absolutely unplayable. It lagged like hell, I don’t know what the author did, but it didn’t work well. Also the snipers are really annoying (needed many rox to kill the first on) and setting combine underwater makes an unfair scene, as they can shoot underwater but you not. Nethertheless I played through everything and then the mod showed his better face. The second map was quite enjoyable, already the beginning was fun. The underwater part was a bit too short, I hoped now for some sweet underwater level but I was dissappointed. The outdoor area looked really nice, and I like the idea with the water a lot! The gameplay was in the middle part not so good, as you can easily shoot all enemies with the colt before they even recognize you. The bonus level was totally senseless, I hoped for some additional level but it was like playing the same again, there was just too less change. Thanks for giving it try SolidFake. This mods is far too laggy, I may try the second map but has others have said even with a good computer spec and graphics card this mod can be a nightmare. As such I would not recommend it, just don’t see the point in releasing something this buggy. But all that doesn’t really matter if you have lag, which is sounds like a few people do. Mel, thanks for giving it a go. By the looks a few people have trouble with the first map lagging but I am not going to find that out until a fair number of people try it. The rest of the Mod seems to run ok so if you give cc3 or cc3b a go I hope they work ok for you. With all the high quality mods around at the moment, my efforts seem lame in comparison. I’m just a hobbyist. Thanks anyway. I don’t normally rubbish a mods for just lag alone, but in this case the early sequences include being under water where you need to get to air pockets to get health back-up, with the degree of lag I am experiencing this is proving impossible. However, I will see if I can get through with a cheat, maybe the rest of the mod is not so bad, if that is the case I will modify my comments accordingly and apologize to the author. I don’t think you need to apologize to Ross. You stated your problem and made a valid recommendation based on your experience. It’s no fun playing any mod with significant lag, let alone under water. It’s all good feedback and I appreciate your opinion. I hope the other maps work better for you. I only have a pretty mediocre machine, only 1Gb of memory and 2.7Ghz CPU, but the only time I had any lag at all was after my third death by sniper in the very beginning of the Mod. Reloading from the first save cured this though so I carried on and thoroughly enjoyed it. There were moments when I got some flashing checks in the top left of the screen, but not enough to worry about, though I don’t get them in any other mod…. The cut scenes were the only minor grumble, and has been said already were a bit long at times, still, I guess they did give some sort of idea as to what the heck was happening. This is head and shoulders above Pyramid, though I enjoyed that too, and shows how far the author has come on since. I can’t wait for the next instalment! Big thanks to Sirrocco for a top Mod! PS I missed the bonus map I think….any clues? Thanks Gypsy Jim, glad you liked it. If you wait until the credits end, the bonus map will load. I don’t know if you are still watching this Sirrocco. I can get through the first action map in the first 2 skills without dying (just) and reloading. I notice a lot of people get lag if they do re-load. I played and got through (just) without having to re-load. In hard mode, I keep dying and having to re-load and then get the lag problem making it unplayable.. 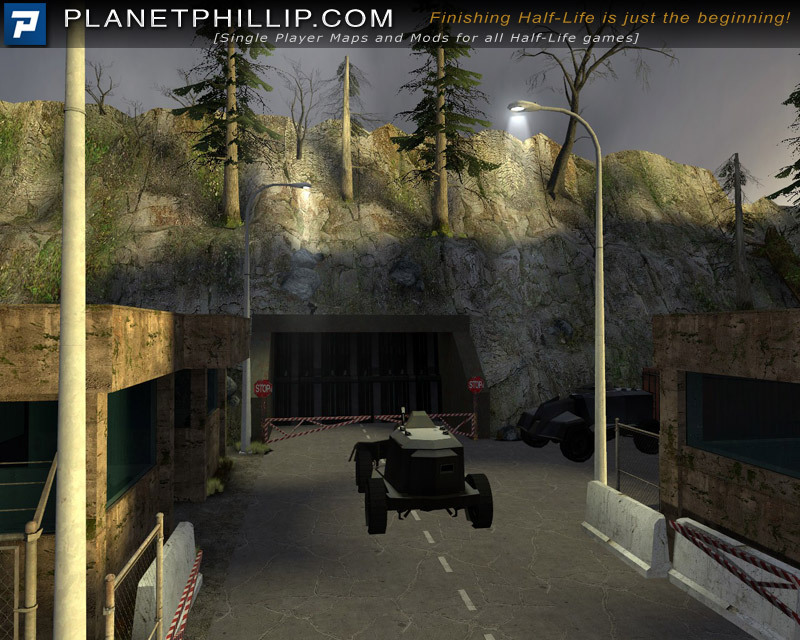 I like this mod and will replay but in easy for the first action map and then hard at the map change to CC3. Beats me and seems illogical but I thought you might like to know. You may have something there Jasper, that’s an aspect I hadn’t thought of. Although not everyone gets the lag problem. It could be because as you say the lag kicks in after you get killed the first time. I hope not and can’t think why that would happen, but appreciate your thoughts on the matter. I think though in future I will try to make my maps either easier and/or use less memory intensive resources such as vast areas of water, or water where you need a flashlight. I think the red lights don’t help either. Live and learn I guess. I playtested this and I’ve only played the “old” version. I haven’t played this new public release yet. The old version had serious problems, however I have already spoken with Ross about all this, and it sounds like quite a few issues have been rectified. Regardless of how this mod stacks up against every single other mod out there — it is monumentally better than Pyramid in every way and so represents a great leap forward in the ability of the author. Well done Ross. I look forward to your next work. One author’s point of view versus one game players point of view because I have to disagree with “better than Pyramid in every way” with regard to combat game play (only). I thoroughly enjoyed both games but the combat in Pyramid was superior in my view. It was hard and most of it “in your face’. As a result, the feeling of achievement was greater in Pyramid. In Drowned World, the first action map had “in your face” combat but was overly frantic because there was so much to do against the clock. 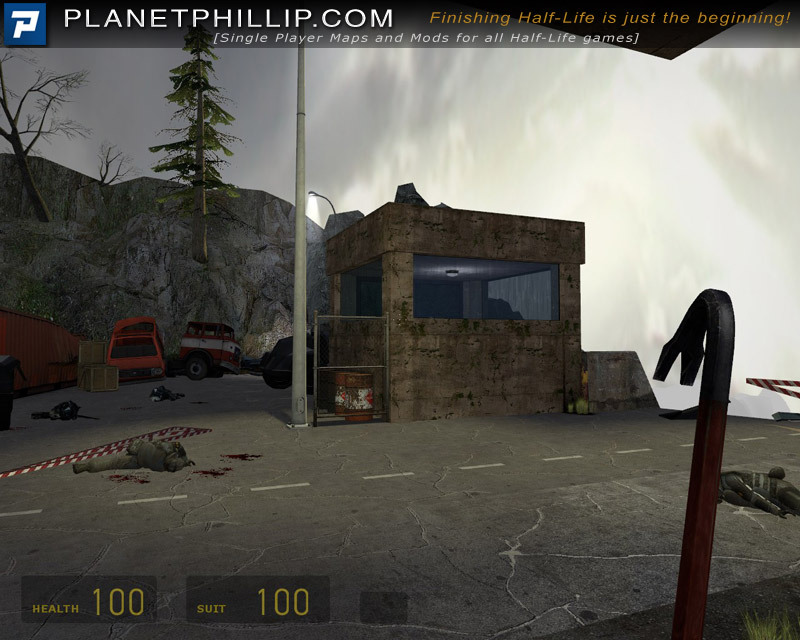 Innovative and imaginative, doubtless, but not enjoyable, merely work to be done to get to the next map. After that, it improved until you take the lift down when it turns into a sniper’s game (mostly) – which is OK but not such fun. Love the images from Citizen 2 and hope to play it soon. I would like to thank you for your input to Drowned World in its beta stage and your comments here. Your comments and criticisms, not to mention your technical expertise, during development were great and helped me iron out most of the problems. I’m sorry I didn’t credit you in the credits of the mod but I have done so on the home page for Drowned World and am glad to have the opportunity here. I hope that’s ok. I do think Jasper has a valid point. 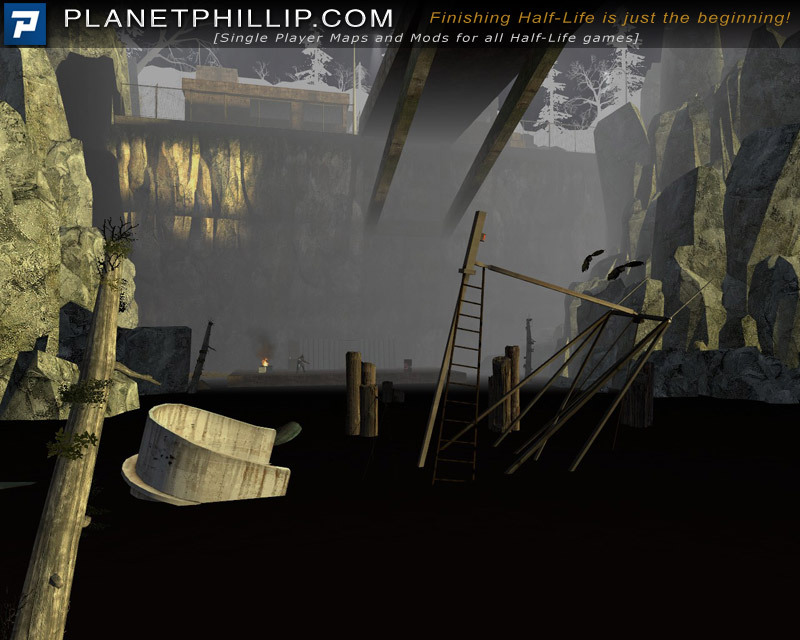 I have recently replayed Pyramid and although it is technically inferior to Drowned World, I agree with Jasper that the combat is more as he describes “In your face”, making it more challenging and fun, and as it is longer, a greater sense of achievement is gained when completed. Thanks Jasper. I have university and teaching commitments booking me up solid for the next few months, so I will have to devote my time to them and will get back to modding when they are finalised. When I get a chance to do more modding I will try to combine the best elements from both mods and produce an even better result. At least that is my intentions. civanT pretty much covered the way I feel about it. It does have the ability to bring out emotion of the negative kind, so I can’t give a full review because of quitting early. Water level rising, dying repeatedly, don’t need to yell at a game, thanks. 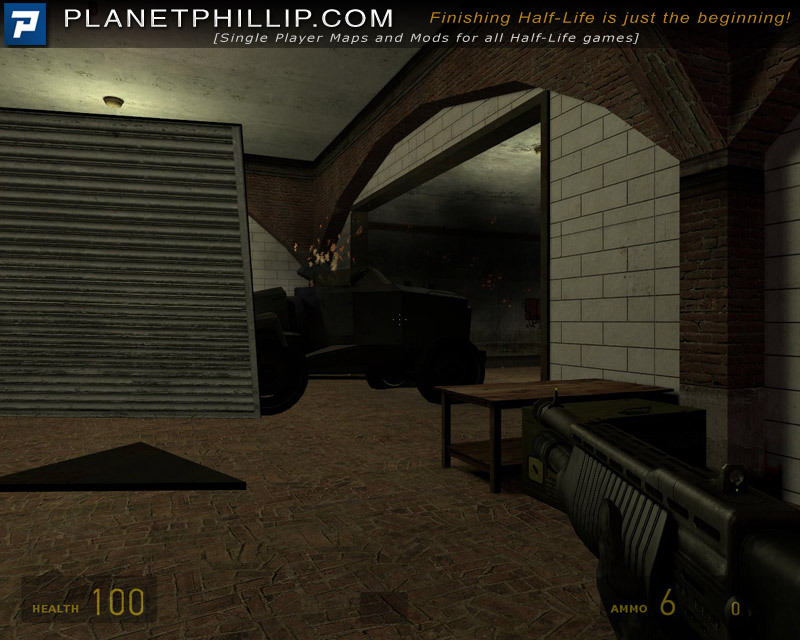 And on restart I also get heavy lag not experienced in any other mod (HL2 or Crysis). In my limited time playing, I can see the amount of work that went into it, so thanks is in order, and it just wasn’t “for me”. I didn’t enjoy this mod that much, there were some very difficult parts on my opinion, and the Snipers in the underground weren’t right. There’s nothing very special about this. There’s no innovation. I give it a 2/5. An awesome little mod. Everything clicks, no crashes or glitches, just a lot of fun. Liked the pacing and the puzzle aspects and the challenges. Main criticism: lighting could have been brighter – I found the ubiquitous dun colours somewhat drab. Found myself needing a sharp blue sky from time to time. This dreadful to play. I gave up at a certain point because I had no idea what to do. The cutscenes are too long. The leeches are annoying as hell, and the whole mod is just a mess of confusion once you get outside. That said, it’s a challenging mod with decent mapping. I actually didn’t have much of a problem with this mod. I didn’t get to go where I wanted to when I wanted to, but when I did it the way I think you’re supposed to, I didn’t have (m)any problems with the leeches, and managed to get to those places that were blocked before. It was too short. And I’m beginning to hate turrets (you placed them very well in Pyramids–I’m sure if this mod were longer you would have used more turrets in a similar fashion). I never did get into the second “booth” at the top of the cliffs, but I can always try again next time. As with some others, I thought the first couple of sections were too hard. Especially the area with the snipers. The rising water doesn’t give you enough time to dispatch the enemy and find the switches to open the door before you drown. Out of frustration I had quit playing it for several months. Then came back to it a couple days ago. Once I got past the first section of the mod I really liked it a lot. It’s worthwhile to stick it out and get to the later parts that are really fun. Thanks for taking the time to create Drowned World Ross. Another great mod by Ross! The beginning looked like the armory from the Pyramid. Hey Ross, what do you have against Crossbows? I don’t see the weapon Crossbow at all. I thought I would see it in the armory. It’s weird some mappers don’t use Crossbow on their maps. Ol Crossbow is getting jealous you know! So is Pheropod Bugbait! Thanks OG Loc, glad you liked Drowned World. The beginning looked like the armory from the Pyramid. Yes it is the armory from Pyramid. Pyramid, Drowned World and my entry for sniperville are all elements of the same storyline. this is one I missed the first time around. I enjoyed the gameplay. Its a little tough in places and sometimes frustrating to figure out your intended path, I’m not a fan of having to backtrack but you must in order to reach certain areas. Overall it was a fun play. I enjoyed “Pyramid” so much more than this one, that’s a fact. 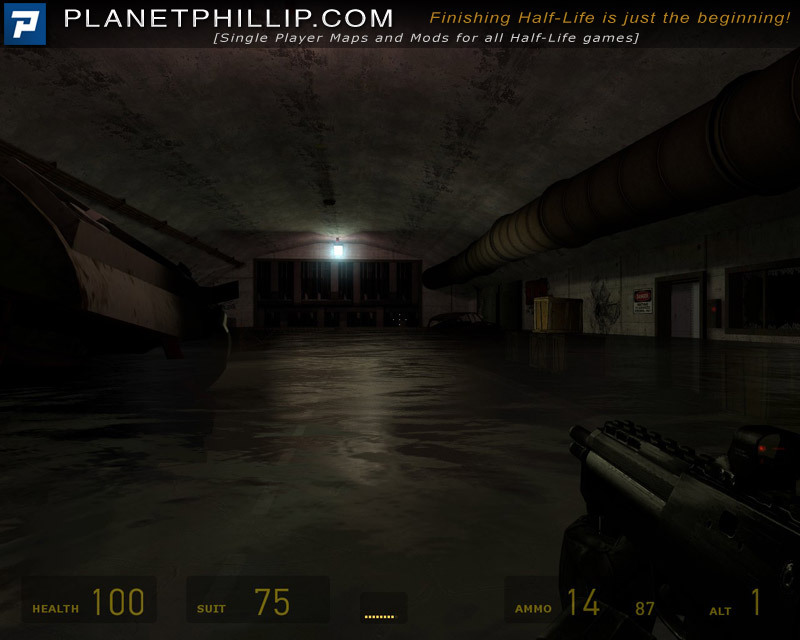 This overall feels as a kind of disorganized mod arround and interesting concept, an area with drown levels of water, never the less the whole gameplay feels as a rush, and at the beggining I died because the water just flooded the beggining place until the roof with not even a hint of it! !, and then I learned my lesson I did it propperly again but it was kind of annoying being in a rush, I guess rush gameplay in HL2 is not my kind of game at all…, anyway, there I had bugs with those strange buttons that opened doors and the most important of them didn’t work propperly. The combat,and the cutscenes, fited well but as this being a mod with 2 chapters and alternative ways to play the same maps, those cutscenes just were kind of longer and just again kind of annoying. I enjoyed the second way to combat there more than the first as it didn’t feel so rushed as the first one. 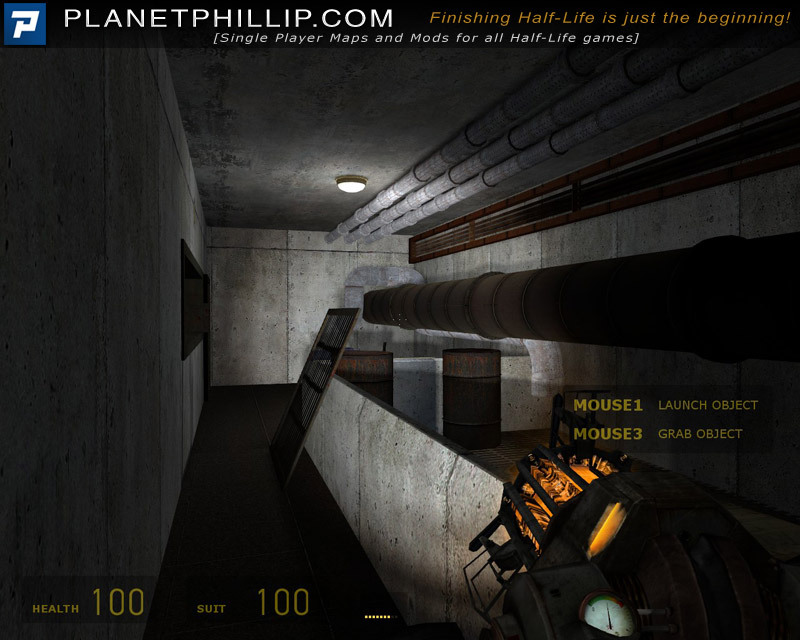 Ok so I think this is perfect to play during 2012 Phillip’s vacation as I havent played many mods from 2008-2009, i’ll be playing intersting ones that I havent played, I’d love to see another Ross walker most recent work, as he is a kind of intrepid mapper with cool concepts for the maps, I may don’t fully like this mod, but I assure definetely worths the effort. Oh and my playtime it was not 2hrs 45 min. it was just 45min, as this is short-medium mod, sorry about those faulty data. Wow, the visuals are great in this mod. They’re slightly washed out but pretty at the same time. It kind of reminds me of a game called Grimind. The environment is also fantastic both above ground and underground. The gameplay is also pretty fun but I have two complaints. One is that there’s too much platforming. 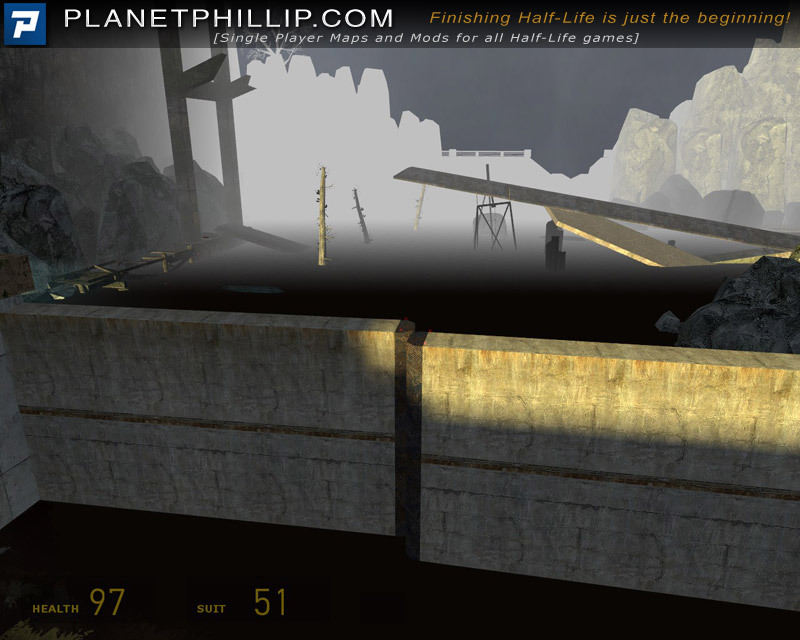 I don’t usually like platforming in first person, especially since HL2 has a weird kind of Castlevania-esque jump. It works fine in Castlevania because the gameplay and level design is built around it. 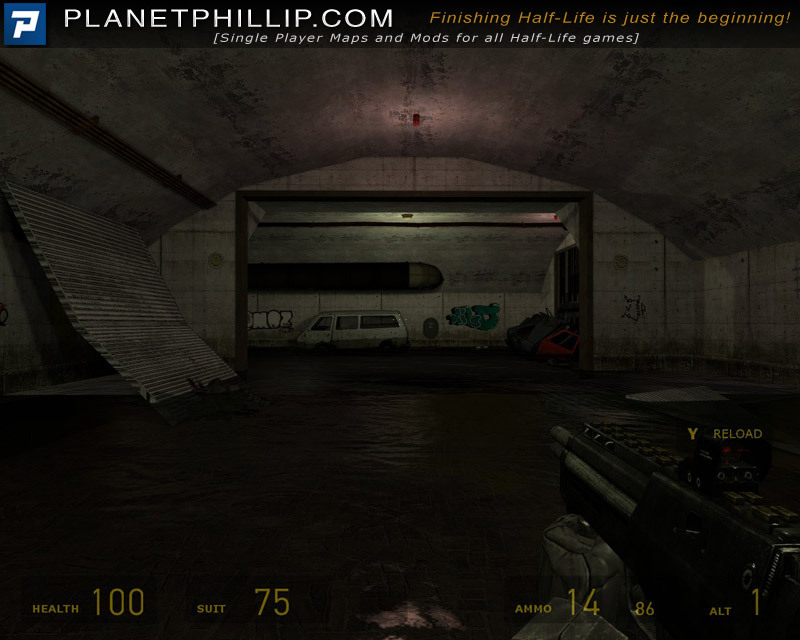 This mod’s level design is based around it but it still has the gameplay of Half-Life 2 so it doesn’t feel right. Second is that the leeches are unnecessary and discourage exploration. I wish I could’ve explored more of the world because it looks so nice. The atmosphere is also pretty strong too with the fog and ambiance. The combat is also good. It seems the author is better at outdoors areas than indoors as demonstrated by Pyramid. I’m impressed with how much the author has improved from Pyramid. It’s much more playable, atmospheric and interesting. I like this mod a lot. 2) In the folder “maps”, rename or delete the file background01.bsp.